Purdue Pharma of Stamford, Conn., maker of OxyContin, is one of the manufacturers whose marketing practices are being examined by a group of 41 state attorneys general. 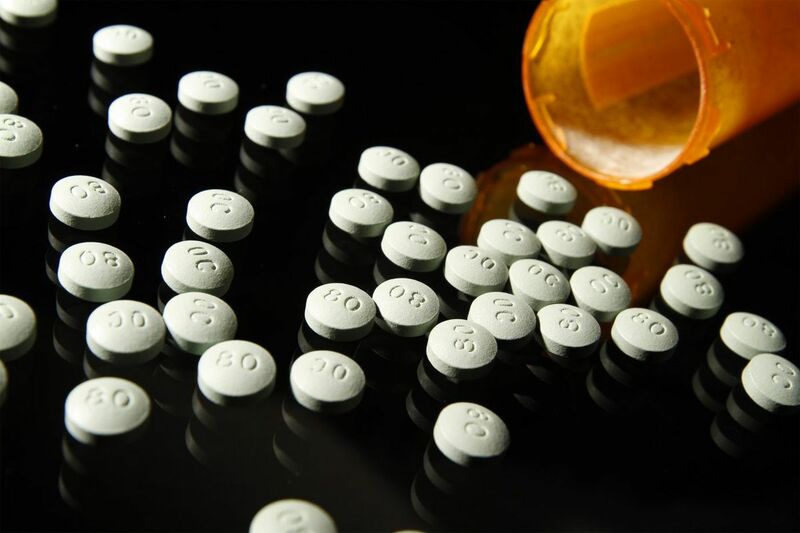 They announced Tuesday that they had served subpoenas requesting information from five companies that make powerful prescription painkillers and demanded information from three distributors. If the industry cooperates, the investigation could lead to a national settlement. "Broad, bipartisan coalitions of attorneys general can impact national problems through litigation and settlements - more effectively at times than when acting alone," Pennsylvania Attorney General Josh Shapiro said in a news conference at Upper Dublin High School. Attorneys general in 41 states, including New Jersey, are involved in parts of the civil investigation. George Jepsen, the Connecticut attorney general, said there are early indications that drugmakers and distributors will discuss the matter with the states. Four of the eight companies named by investigators have headquarters in the Philadelphia region: Endo Pharmaceuticals of Malvern, maker of Percocet and Opana ER, which was ordered removed from the market by the Food and Drug Administration in June; Johnson & Johnson's Janssen Pharmaceuticals, based in Titusville, N.J., which makes the fentanyl patch Duragesic; Teva Pharmaceuticals, which has North American headquarters in North Wales and owns Cephalon Inc., maker of the fentanyl "lollipop" Actiq; and Chesterbrook-based AmerisourceBergen, a national distributor. Companies that received requests from the attorneys general said in statements that they were already taking steps to stem the opioid crisis. Janssen, for instance, said it's trying to educate prescribers about the drugs, and distributor AmerisourceBergen said it has prevented tens of thousands of suspicious opioid orders from being shipped. The Pharmaceutical Research and Manufacturers of America, a trade group representing drugmakers, declined to comment on the investigation but said it is trying to deter and prevent drug abuse. The group and some of its members met Monday with Gov. Christie of New Jersey, who heads President Trump's task force on opioids, and pledged to try to develop technologies to reduce the risk of addiction and abuse. The vast majority of pharmaceuticals are distributed by the three companies named Tuesday: Cardinal Health, McKesson, and AmerisourceBergen. The other manufacturers targeted in the requests are Allergan and Purdue Pharma, which makes OxyContin.